The renowned Chilean wine producers, Montes, have taken their expertise across the Andes and into Argentina to craft the wines of Kaiken. 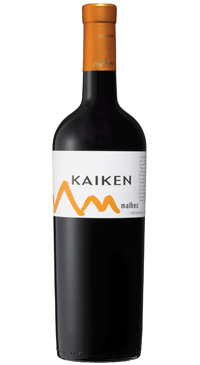 Kaiken wines are produced in estates in Uco Valley and Vistalba in Mendoza. Deep violet in the glass with an inviting nose of ripe fruit and traces of tobacco and butterscotch. Intense dark fruit and fleshy tannins with a juicy long finish. Six months maturation in French oak allows the Mendoza terroir to shine as the varietal fruit harmonizes nicely with the wood.